Hisako Morioka of the iami Holistic Health Institute is a certified Somatic Experiencing® Practitioner, a method of trauma healing developed by Peter A. Levine, Ph.D. This method is based on the observation that wild prey animals, although often threatened, are rarely traumatized. Animals in the wild use innate mechanisms to discharge the high levels of energy associated with defensive survival behaviors. These mechanisms enable animals to return to normal after intensive life-threatening experiences. Also humans are born with such regulatory mechanisms, but these instinctive systems are often inhibited by socialization. This inhibition prevents the complete discharge of survival energies, and does not let the nervous system regain its balance. Then the survival energy remains stuck in the body and nervous system, causing Post Traumatic Stress Disorder (PTSD) symptoms such as pain, anxiety, anger, depression, intrusive thoughts and imagery, and cognitive impairments. 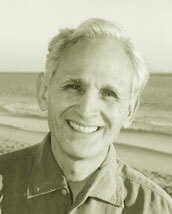 Peter A. Levine, Ph.D. is the originator of Somatic Experiencing®. He holds doctorate degrees in Psychology and Medical Biophysics. His book Waking the Tiger is available in 10 languages.